As September rolls around and we ebb closer to Fall, I’m reminded of those last anxious days of summer growing up in Florida. I keenly felt the loss of freedom and abandon which the summer break always seemed to grant. We neighborhood kids would divide our time between catching tad poles in the ditches after a heavy rain, hunting for catfish in Philippi Creek, riding the waves of Siesta Key Beach and making sand castles from the bright white sand that is the consistency of powdered sugar and has made Sarasota legendary. But as I got older and the summer receded and the school year drew near, a bloom of dread and fear would inevitably blossom as I prepared for the unknown. 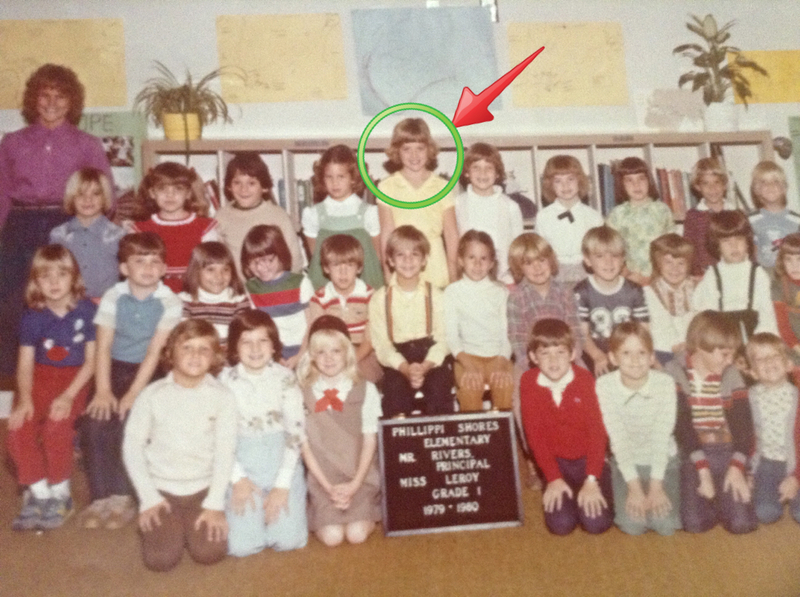 I remember the first day of kindergarten when I was equal parts scared and thrilled. I was starting the next chapter of my evolution and had been excited about my step toward adulthood until I’d met my teacher. 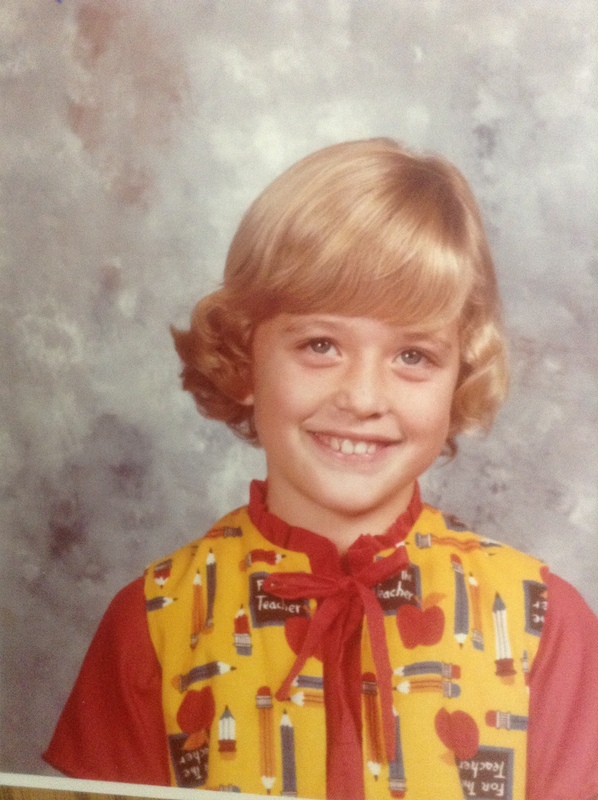 My Mom and I went to the “Meet Your Teacher Night” at school the week before the year officially began and was so excited to walk down the halls in which my older brother once roamed. I’d gone to a few of his school Open Houses and was always left feeling rather jealous of his maturity and sauve wa faire as he seemed to take everything in stride like he’d done 5th grade a hundred times and was waiting for a real challenge. Now it was my turn. I still remember walking the halls after a thunderstorm and breathing in the smell of rain and something else that seemed very collegiate like musty books, chalk, and freshly mowed grass. I wore one of my favorite outfits to thoroughly impress my teacher. It was a very chic ensemble of my own creation which involved sweat bands and my favorite purple unicorn t-shirt. Don’t be jealous. Her name was Ms. Dean. She was the first Ms. I’d ever met. What did it mean I wondered? I was forced to sort out the Mrs./Miss. conundrum in Sunday School, but this new hybrid was a mystery. Sadly, I went the whole year without ever getting to the bottom of the whole Ms./ Mrs./ Miss. dilemma but it definitely added to her intrigue. I came home from the Open House with an uneasy feeling in the pit of my stomach, (a feeling I would become very familiar with unfortunately) and went straight to bed. I waited with trepidation as Monday loomed in front of me like storm clouds on the beach, thus ruining any chance of enjoying those last few fleeting days of summer. In an attempt to cheer me up, my folks took me to the store and let me choose my first pencil box, pencils, lined paper, a Holly Hobby lunchbox and a book bag! Momentous! 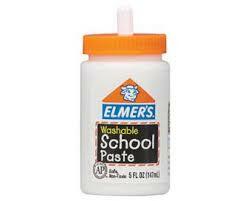 To this day I still get excited about school supplies and can almost feel the childhood anticipatory dread/glee when passing a pyramid of that wonderfully ineffective but delicious smelling Elmer’s school paste in the jar with its useless built in stick. This trick of buying accessories to improve my mood and general outlook on life has never failed to lift my spirits. I was beginning to feel a little bit better about this scary new chapter, I mean my first day of school had yet to begin, and I had already learned something I would use for the rest of my life; Accessory = Happy…unlike for instance Algebra which I still have yet to use… Come to think of it Algebra did teach me a few valuable lessons, like learning how to feel humility, recognizing the pang of dwindling self-esteem, and the sickening sensation of failure. After that first year of school I felt the sweet release of summer and by the time first grade rolled around I was ready. Gone was the school girl naiveté, (Imagine slicked back hair a pack of candy cigs rolled up in my white t-shirt and scuffed boots.) My innocent excitement of kindergarten was a distant memory. I had my beat up school bag and my Holly Hobby lunch box which I had accidentally left on the stove so now had cylindrical burn marks across Holly’s cherubic face. Rather fitting I thought as I strode into my new classroom bracing for the worst.